Children have a naturally inquisitive tendency to learn continuously. As they grow and get into jobs, various responsibilities take up their time and other factors come in the way of learning. Yet, some continue their learning along with other things, others turn weary and indifference sets in. We all know learning never ends; it is an activity of a lifetime. In this context, how can you revive that quest for learning in adults, particularly employees, and channelize it to improve productivity? You can reawaken that love for learning this February 14. What else can you offer your employees this Valentine’s Day? Let’s see how this love can be rekindled using online learning. Children may not fully understand how their education will help them in the future, still, they learn in school; adults however need ‘reasons’ to learn. The ‘what’s in it for me?’ pops up in their minds subconsciously, all the time. When you want to train your employees on a new skill or teach a new concept, you got to tell them the objective or the purpose behind that and how that will help in their jobs and careers. 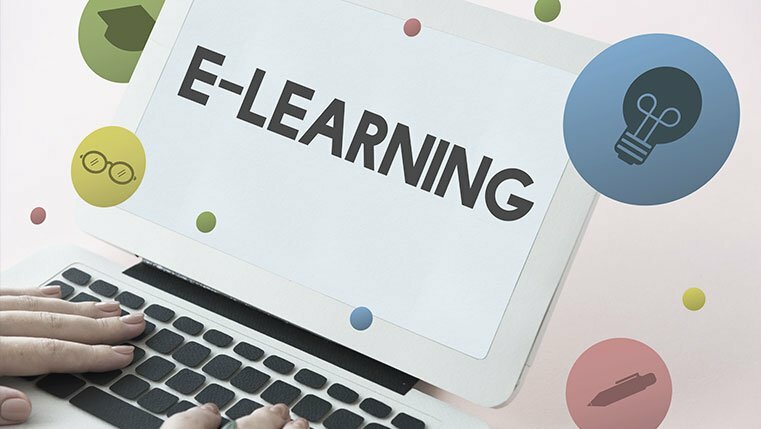 Design an e-learning course keeping employees’ needs and challenges in mind so that you can equip them to solve them. Ask them the issues they face in their daily work and take their views on how to solve them. Then, your employees will love learning. Learning that satisfies intrinsic and extrinsic motivations gives the expected results, improves productivity, and business outcomes. Let me recount from my personal experience: I know a lady who came back to her home town in India from Australia because of her love for dogs. ‘Love for dogs’ is an intrinsic motivation in this account. If she opens a pet store or works in a dog clinic, and gets handsome money, enjoys flexible working hours and a good reputation – those are the extrinsic motivations. Assigning responsibilities based on your employees’ interests makes them flourish, excel, and highly productive. As an employer, it’s recommended you give your employees the choice to explore areas of their interest and provide exposure to roles and responsibilities based on their skills and talents. Then it becomes fun to learn and explore areas of their interest. Learning styles differ from individual to individual. One learns easily by reading, another understands by viewing a video, yet another person grasps by listening to a podcast and so on. Visual learners prefer videos, a graphical representation of data using charts. Auditory learners digest information through audio messages, podcasts, and more. Kinesthetic learners understand things when they involved in a project, on-the-job training (OJT), and other means of hands-on experience. Offer this flexibility in your courses, based on the learning styles of your employees. You can best reignite the love for learning in your employees when you blend the science of instruction with technology. Setting the context with learning moments, starting a discussion on the issues employees face and encouraging them to question, explore, and solve are some ideas you can try. In fact, you can do it innovatively each time when you believe learning is life-long! So, celebrate the love of learning this Valentine’s Day! !